The goal of this blog is to inform the reader on legislature, news, and events pertaining to the Intellectual & Developmental Disabilities and Autism community. We hope that by sharing this information we can answer questions, provide information and offer support to those with family members who have special needs. We encourage your responses and feedback. Dreams With Wings is full of many inspiring transformations. For many it is the independence. For others it is the community found within Dreams With Wings. For so many individuals, it is the combination of finding a meaningful job or outreach within the community and living on their own in a residential house or apartment. Leslee is one of the many transformations. She entered the Dreams With Wings family in January 2012. In the beginning, there were many difficult situations surrounding Leslee. Her mother had recently passed away and Leslie suddenly found herself in unfamiliar territory, along with the many daily struggles of living with autism. Leslee is fortunate to have very supportive siblings who wanted her to have a life and home of her own and learn to be more independent. Leslee is typically non-verbal, and suffers from echolalia-a condition of automatic repetition of vocalizations made by another person. These daily struggles coupled with a history of aggressive meltdowns and high anxiety made things very difficult initially. For Leslee, this new place to call home was a bit overwhelming. At that point in time it would have been difficult to envision the vast transformation that was in store for her. As her surroundings of comfort, love, and support at Dreams became a daily reality and a trust was built with the wonderful staff, Leslee, over time, has become a new person. 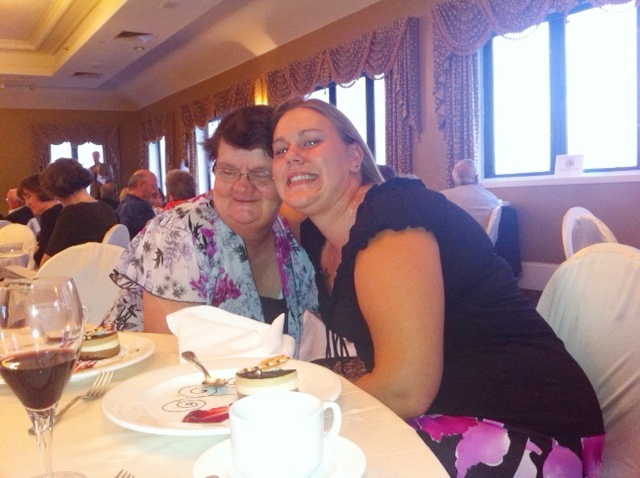 These days you can find Leslee living on her own enjoying her staffed residence home or at the Dreams Builders day program enjoying activities and working on skill sets to build upon for her daily life. You may also find her working with her behavioral support staff, where she is learning to function and communicate. One large area of improvement has been her time spent with her speech therapist, Terri Stoltz, and their work on the iPad and the app- Proloquo2go. Medicaid will typically reimburse for expensive augmentative speech equipment that costs thousands of dollars. However, they will not currently pay for a basic ipad with Proloquo2go software that enables individuals to “talk” through computerized voice output. Many of our clients are unable to afford the ipads that will allow them this opportunity. “The iPad has alleviated many frustrating situations for Leslee where she cannot verbally communicate.” The iPad and the many downloadable apps offer so many educational opportunities as well. Anything you can imagine…. Coin recognition, sight words, reading, writing, and interactive games that focus on comprehension, and the list goes on and on! For many special need individuals it has become a lifeline for learning, and for some like Leslee, a tool to help her communicate and reveal her brilliance through the use of the proloquo2go app. Leslee is just one example of the many life-changing transformations taking place at Dreams With Wings. The iPad is invaluable not only to Leslee but many of the clients Dreams With Wings serves. 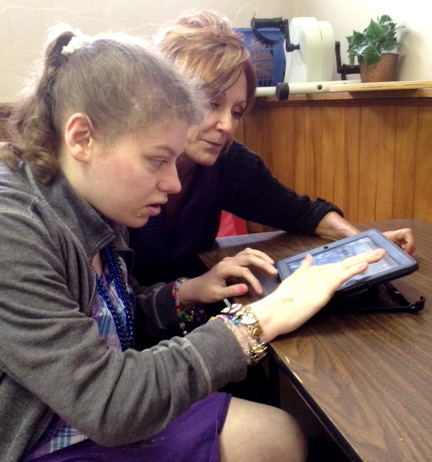 Unfortunately due to limited resources Leslee is only able to use the iPad once a week with her speech therapist. Imagine the progress that could be made if she had access to these resources daily! With your continued support, Dreams With Wings is able to keep changing lives and pour more resources into the new facility at 2106 Bardstown Road, while continuing to enrich our staff to reach as many individuals as possible. Thank you to all of our continued supporters, …. you are helping us empower those living with intellectual and developmental disabilities, including autism, and they are achieving their DREAMS! What an experience. 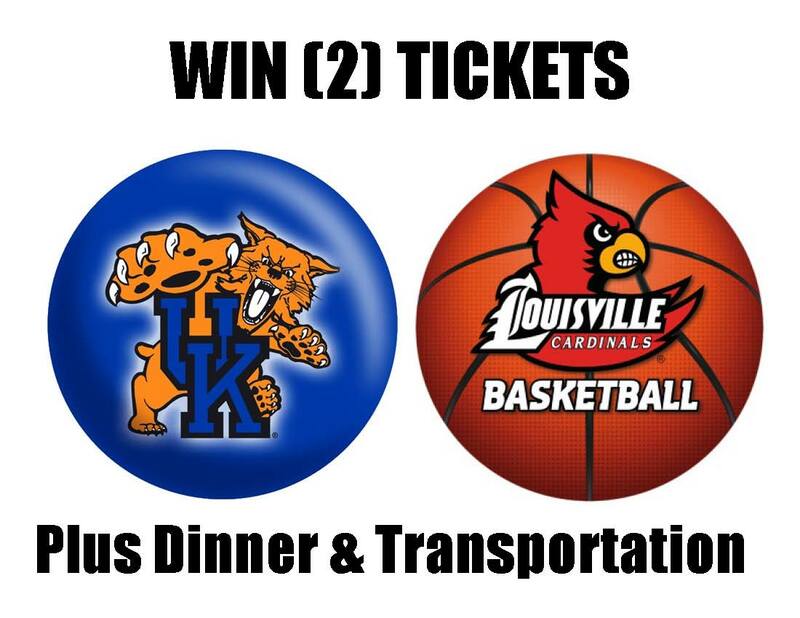 Two tickets to the U of L – U of K game, dinner at the Brewery and a limo ride from the restaurant to the Yum center and back. What can I say. The only thing that could make it better would be a victory by the Cards and they did. Like the commercial says……priceless. It was a major award, way better than that lamp that guy won in The Christmas Story. We had a wonderful time and our thanks goes out to the gentleman who donated his seats for the game. It was a blast . I hope we win next year. Where will you be on December 29, 2012 at 4:00pm? 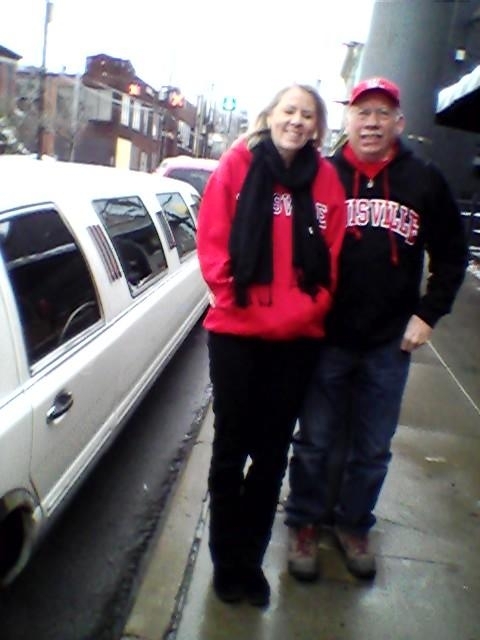 If you are a U of L or UK fan, and not a season ticket holder, my guess you will be looking for a sports bar or satellite TV to watch the much anticipated rival game. This will not be the outcome for the winners of Dreams With Wings raffle. to and from dinner and the game. 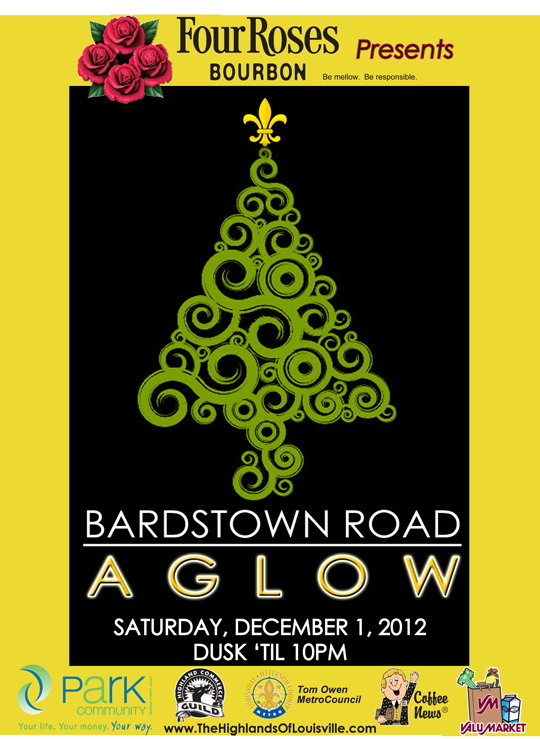 2106 Bardstown Road at 6:pm. **Need not be present to win. 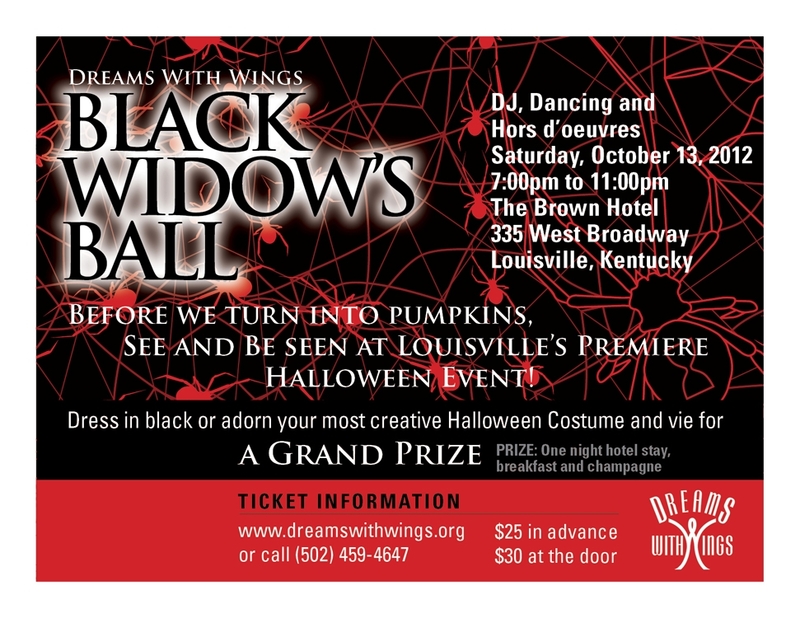 Proceed to benefit Dreams With Wings, Inc. Always the First Saturday in December since 1985! 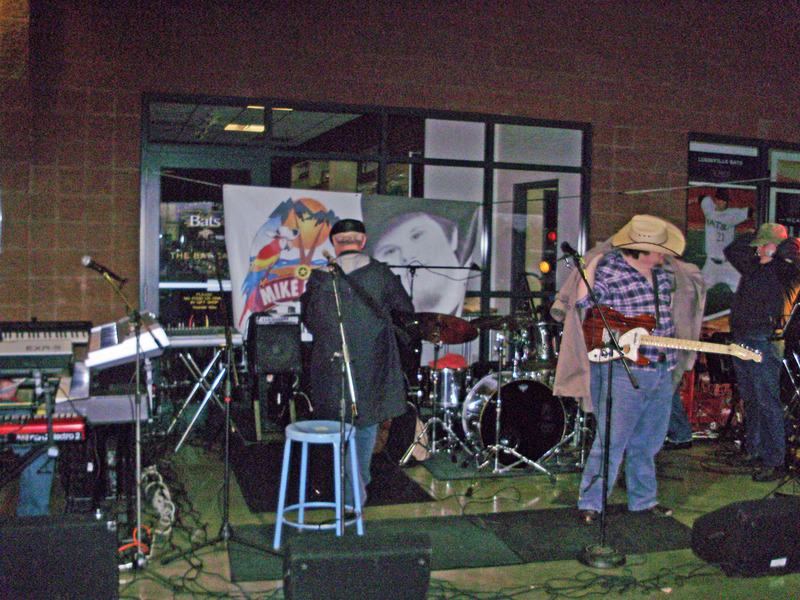 Dreams With Wings will be open and sharing in the festivities; be sure to stop in and say Hi! Merriment & and much more! The Mission of Dreams With Wings is to empower children and adults with intellectual disabilities, developmental disabilities and autism as they recognize their strengths, contribute to their community and pursue their dreams. 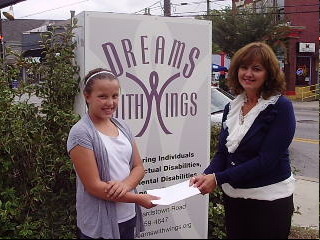 Contribute to their community; in what way can the clients at Dreams With Wings do that? That was a thought provoking question twelve years ago; the answer was The Jack O’ Lantern Stroll. The Stroll, as it came to be called by all those who haul, pick and carve pumpkins, had its meager beginnings in the front lawn of the Executive Directors’ home in the Highlands. The idea was to carve 100 pumpkins into jack o’ lanterns to light a path for kids to come and trick or treat. 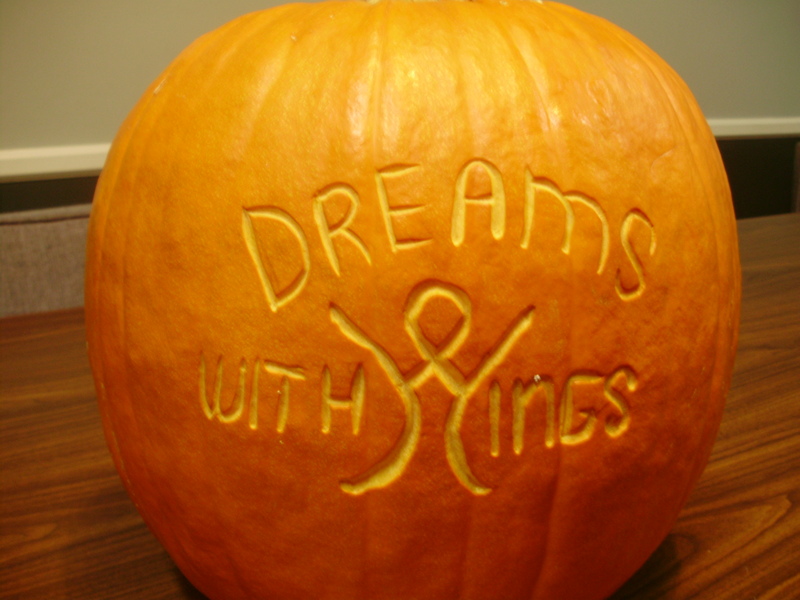 The pumpkins would be carved by the clients, their families and the staff of Dreams With Wings. 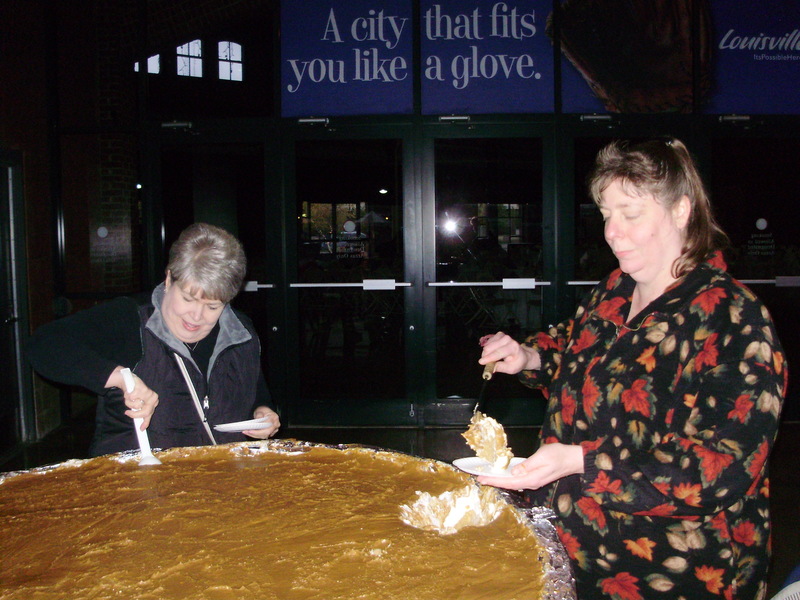 When the big night arrived the clients would dress in costume and pass out candy, help the trick or treater’s create a few simple crafts and share a slice of no bake pumpkin pie. The event was a huge success! It quickly became apparent that The Stroll was going to need more room. Fortunately, Bellarmine University was right down the street and welcomed the idea; and for the next nine years The Stroll had found a home. The possibilities seemed endless. With all the space the campus offered, the crafts could grow, music went from a “boom box” to a live band and a radio station, games were added, and the pumpkin pie tin grew to the size of a child’s swimming pool!! And of course there was a lot more room for Jack O’ Lanterns… 100 grew to 500 which doubled to 1000 and finally 1500! The campus was alive with now thousands of trick or treating children; but once again The Stroll had reached capacity and what seemed in the beginning to be endless space was now too small. Where do you hold an event that could fill a stadium?? The answer was “a stadium” Louisville Slugger Field Baseball Stadium! Today, The Jack O’ Lantern Stroll has become a week-long event of community interaction. On Monday and Tuesday of Stroll Week, clients, staff, and volunteers of all ages take trucks and trailers out to Gallrein Farms. 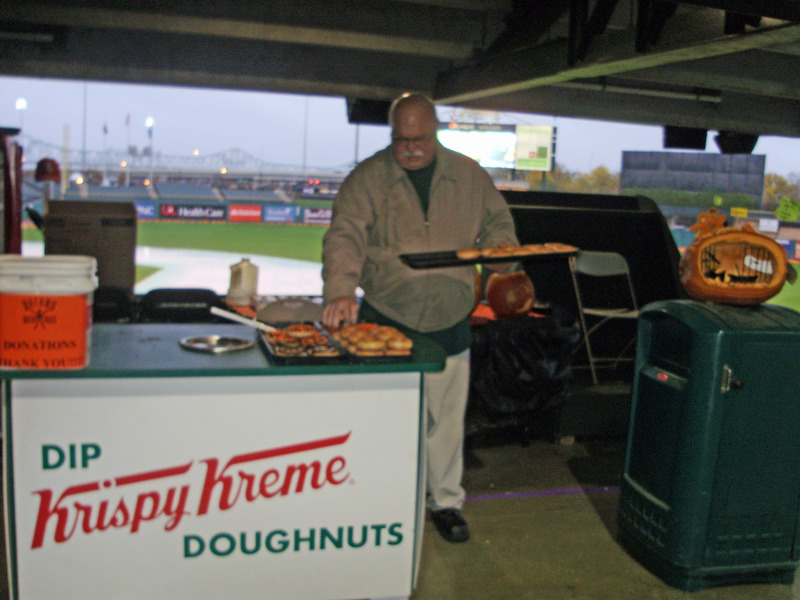 The generous owners allow Dreams With Wings to descend on their pumpkin patches to pick the now 2500 pumpkins needed to light up Slugger Field. On Wednesday the carving begins! In just 2 ½ days all of the 2500 pumpkins are carved by clients, their families, staff and literally hundreds of volunteers from UPS, PNC Bank, PBI Bank and other local businesses. Students from many of the local schools to include: Bellarmine, St. Francis, Lourdes, to name a few, and several of the area churches carve from morning till evening. 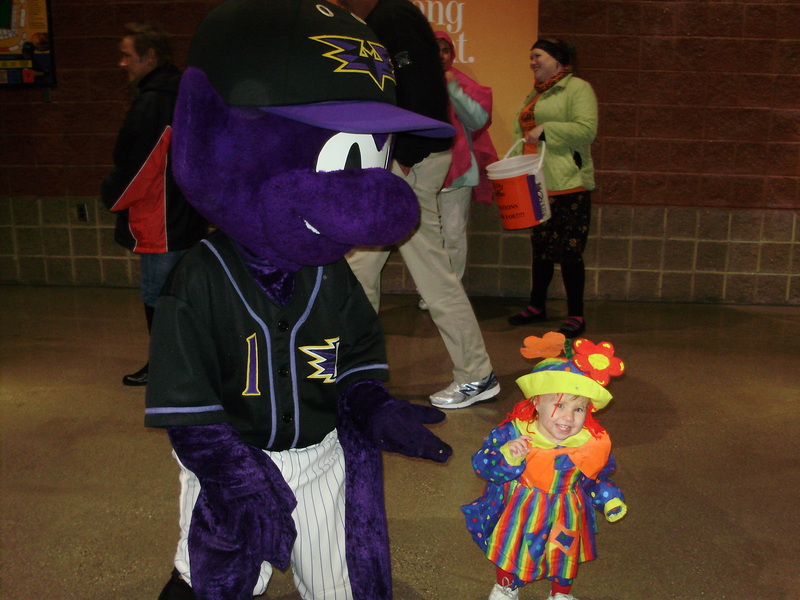 On Friday, the jacks o’ lanterns start their journey to Slugger Field where even more volunteers come to place them on the field and add a candle. Closer to the zero hour they will all be aglow as the field comes to life with onlookers and trick or treaters. Saying the event has grown is defiantly an understatement, but the Mission remains the same. To contribute to their community…and they do. Madison Hardwick, a 4th grader at St. Francis turned 10 last week and had a birthday party. Now this may not seem like blog worthy material until you meet Madison. This amazing young lady is very busy with singing in the choir, playing volleyball and selling Girl Scout Cookies, yes she is also a scout. As busy as she is, she has room in her heart for others. Instead of asking for CD’s, movies and IPods for her birthday, she asked that her party guests make a donation to Dreams With Wings! Madison raised $211.25!! She and her mother stopped by the Dreams Office yesterday and presented the check to the executive director, Jenifer Frommeyer. Thank you, Madison, for making a difference!! 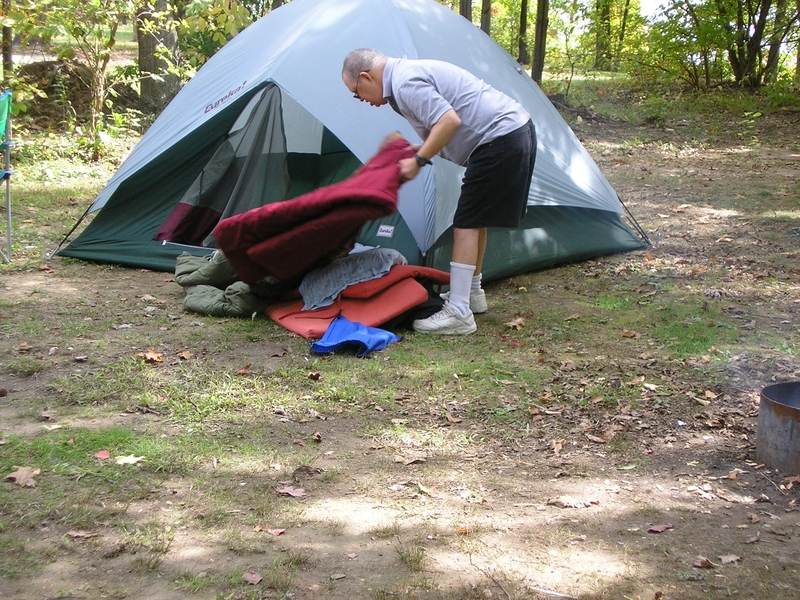 The Guys are out roughing it! The campout went great. The drizzly start of the weekend changed quickly to glorious fall weather. This trip offered a few different things, and some challenges for all of us. We acquired some skills and knowledge and overcame the challenges. 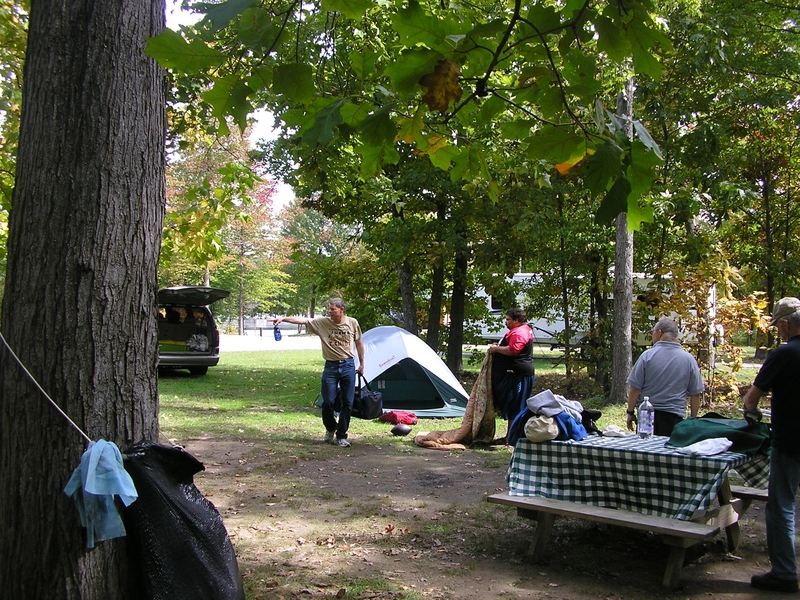 More important to me, we left Deam Lake without having used our first aid kit, with some good stories to tell, and with a positive attitude and better understanding of how a group camping trip operates. 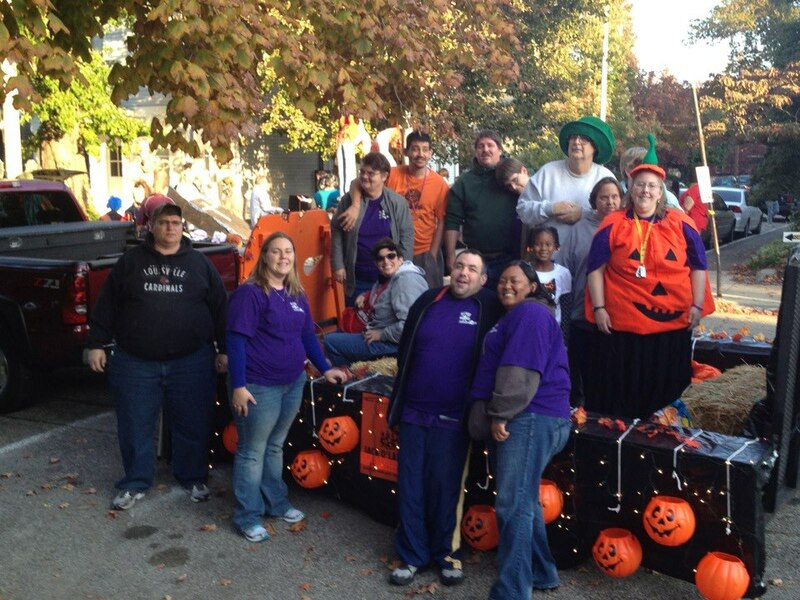 Bart was honored by his employer, Walmant, at this year’s Gaslight Festival Parade. 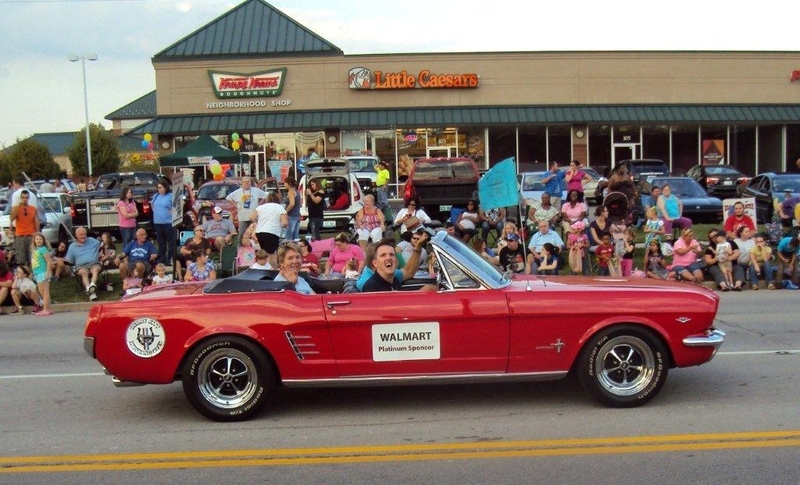 Bart, who has been employed as a greeter at Walmart for 20 years, was asked to ride in the official Walmart convertible during the parade. Way to go Bart, Dreams With Wings is proud of your accomplishments! !